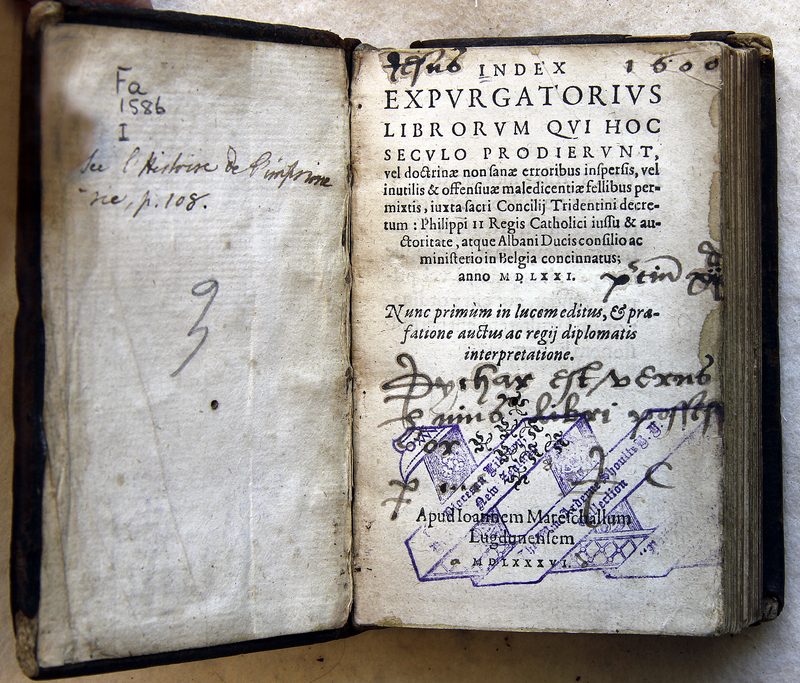 One result of the Council of Trent (1545-63) was the formation of the Index Librorum Prohibitorum in 1559, a list of prohibited books considered a threat to the Catholic faith. In 1571, the Sacred Congregation of the Index was formed to investigate those writings that were denounced in Rome but which required corrections or purging. In this ‘Expurgatorius’ edition of 1586, works by Erasmus are listed. There is no mention of Luther. ___, “Index Expvrgatorivs Librorvm,” ourheritage.ac.nz | OUR Heritage, accessed April 26, 2019, http://ourheritage.ac.nz/items/show/10380.